Soundsaround Calgary: Your choice for Consumer Electronics? Soundsaround Calgary offered a handy place to visit, however. As Calgary grows and the economy continues to boom you just might have needed a great stereo system to match. Finding a trustworthy retailer for radios and speakers may have been a challenge back then and is even more so without Soundsaround. If you wanted something to watch out for, you could check the Soundsaround Friday Sale. These sales could fulfill all of your entertainment needs at reduced prices. So we were encouraged to shop for the best price comparison at one of the Soundsaround Calgary stores above. Another classic was the great Stampede Big Four Building sale one weekend each September. On the Soundsaround website, you would find noteworthy deals and well...let's face it, equipment you'd want and definitely some you need. They sold stuff online here. While browsing the site, you might have run across the About Our Company Page to learn a bit more about who you were dealing with. The staff members at Soundsaround never wavered in their keys to good customer service, satisfaction and guarantee to bring you the best experience around. Though sticking to the Family Owned and operated feel, the company strove to compete with the "Big Box" National chains. They not only sold you the products you wanted but would deliver, setup, and help you to use them to their fullest. They had several teams for specializing in home installation, and planned to expand with even more teams to meet the needs of their customers. The customers had a variety of ways to use the services at Soundsaround. Examples included Free anytime from Monday to Friday pick up, or having the team literally bring your products home to you and take the time to assemble them to get them ready for Showtime. 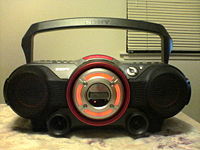 At Soundsaround.com, you could learn about anything from high definition television, HDTV, to the history of high-definition multimedia interface, HDMI, which was relatively new when they were in business. Then learn how to buy the best HDMI cables, consult a trouble shooting guide, and resolve issues with your HDMI. This all-digital connection in one cable format still brings superior picture and sound quality. You simply chose the best cable and if you had any questions the friendly staff at Soundsaround Calgary offered help, either through email or simply by providing the right service specialist in your store. When looking for the top quality audio and video accessories for your home, office, car, or personal mobility, you would not have to look any farther than SoundsAround. They carried the top brands in entertainment electronics, and provide them for you. Go back from Soundsaround Calgary to the Internet Site Map web page, or visit the Calgary City Maps homepage.